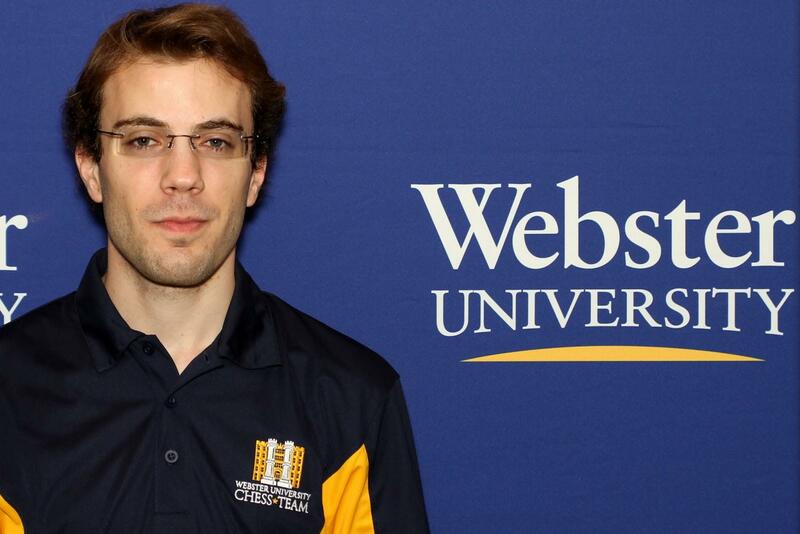 GM Georg Meier is one of the top players at Webster University's elite collegiate chess program. 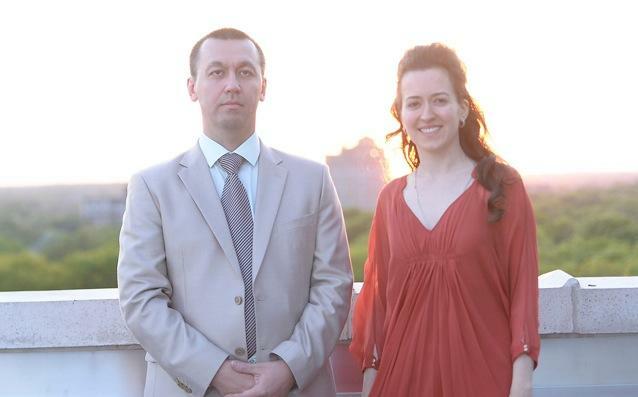 His fourth-round victory over Webster U teammate, GM Denes Boros of Hungary, proved pivotal. Meier was able to draw Lindenwood University’s Priyadharshan Kannappan, an international master from India, in the final round to secure the title and the first-place prize of $1,000. This wasn’t a particularly impressive win: Meier entered the event as the clear favorite. He held a more than 100-point rating edge over Mexican GM Manuel Leon Hoyos, another Webster U teammate and the next highest-rated player in the field. What is impressive, however, is seeing the name of a world-class grandmaster like Meier’s engraved on the club championship trophy of what, just five-and-a-half years ago, was simply a local chess club starting up in the middle of the country. When the CCSCSL opened its doors in July 2008, delusions of grandeur surely swirled through the minds of the club’s employees. But none would have been able to come close to accurately predicting just how big the St. Louis chess scene would get. And how quickly it would get there. Sure, the Chess Club offered a world-class playing facility the likes of which no chess player, certainly no local, had ever seen. Sure, the club started hosting the top chess events in the country featuring the best players in the U.S. But that doesn’t necessarily translate to world-class players regularly competing in local events for pride and, compared to the top tourneys in the world, relatively meager prize funds. For years, the biggest chess names in St. Louis belonged to the likes of National Master Charles Lawton, Jim McLaughlin, Jim Voelker, Bob Jacobs and FIDE Master Doug Eckert, just to name a few. The occasional appearance by International Master Mike Brooks of Kansas City was a real treat for the chess-playing contingent in St. Louis. That all changed in November 2009 when the club brought the first grandmaster to St. Louis. GM Ben Finegold was hired as the CCSCSL’s resident grandmaster; and for a time, he dominated the local scene. The club also started sponsoring big events to try to attract other strong players (most notably GM Nigel Short at the 2010 Thanksgiving Open), but these were one-off appearances that left the local players hungry for more. In 2010, super-GM Hikaru Nakamura relocated to St. Louis as well. Nakamura, the highest-rated player in U.S. history, was in a different league than most mere chess-playing mortals, and he rarely participated in local events. Understandably so. The competition just wasn’t there. Surely the likes of the world’s elite wouldn’t deign to be seen in the playing halls of the local chess club for anything less than a U.S. Championship or other similarly high-profile event. But in 2012, area universities began offering scholarships to some of the best players in the world. And the St. Louis chess scene exploded. Now world-class players are gracing the halls of the local club with increasing regularity, and the chess-playing contingent of St. Louis is benefitting greatly from this massive influx of talent. Meier’s victory adds weight to St. Louis’ constantly growing reputation as an international chess hub. If this trend continues (and there’s no reason to think it won’t), then players of Nakamura’s caliber just might find the local competition a little more enticing. The prestigious Tata Steel chess tournament in Wijk aan Zee, Netherlands, started last week, and for once, super-GM Hikaru Nakamura is not the only St. Louis representative competing against the world’s best. Nakamura, the U.S. No. 1, is no stranger to top-level tourneys. But for GM Wesley So, a Webster University sophomore, Tata Steel is his first-ever super-elite event. It’s going to be another year of checkmates and championships in St. Louis. On Wednesday, the Chess Club and Scholastic Center of St. Louis announced that the United States Chess Federation had accepted its bid to host the 2014 U.S. Championship, the 2014 U.S. Women’s Championship and the 2014 U.S. Junior Closed Championship, the three top invitational chess tournaments in the nation. That’s right. The Trifecta. The Triple Crown. The Royal Three.